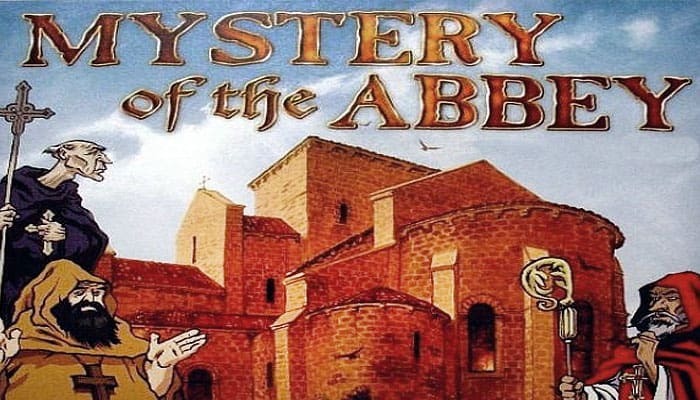 Mystery of the Abbey is a whodunit game with a twist. 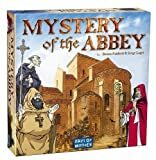 A monk has been murdered in a medieval French Abbey. Start off with a foundation of Clue and mix heavily with Umberto Eco's The Name of the Rose and the "Brother Cadfael" mysteries. 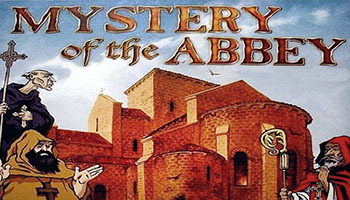 Players maneuver their way through the Abbey examining clues and questioning each other to find out who is the culprit. A masterful game of deduction! Thee peaceful (Templars' Abbey is a rare leaven of tranquility for road weary travelers. And so you found it when you arrived late last night. That serenity was shattered this morning with the discovery of the lifeless body of Brother Adelmo at the foot of the Monastery cliffs.